Hi Rich. Just got my 7300 and hooked it up per your guidelines. One puzzle: The receiving gain showing in the bottom left of the WSTJ-X screen won’t go above 45db even if I turn the ACC/USB AF Output setting to 100% in the 7300. I have checked the level in Windows 10 for this device and it is set at 100 as well. In your screen shots you looked to be getting 60db with the rig set at 45%. With my old setup using Signalink, I could get WSJT-X up as high as I wanted it (typically 60-70 db) by adjusting the Receiver control. Any ideas? Good to hear from you and thanks for commenting. 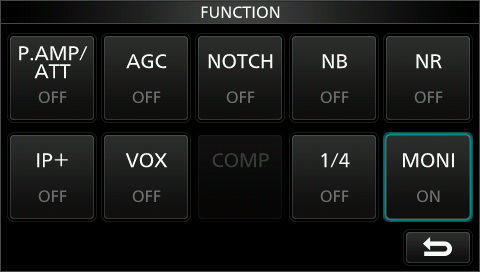 NB, NR, AN, MNF, AGC all off? Try that and the above. See what happens. You’ll probably have to turn some settings down. Not sure why I had so much trouble before. Are you using the Rig for Split Operation??? Try “Fake it”, it is easier. Both work well with the 7300, but Fake it is easier for the reason you mention. I found when using the rig for Split Operation I had to be careful and sync the VFO’s before starting my WSJT-X communications. Thank you and that’s a great reminder. Hi and thank you for commenting. Yes, I found it is when operating in another mode and/or on another band and switch to WSJT-X. Holding A/B sncs then. I eventually went to “Fake it” because I would forget to sync at times. I still like using the “Radio” for split occasionally. Yep, mine is 8-1-none. Glad it’s working! I miss using the iMac. The monitor is much better than the one I have on the PC and I love MLDX and RUMLogNG. Thanks for commenting, it’ll help others. 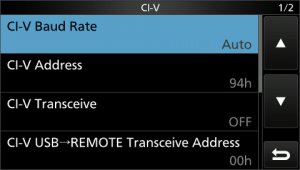 Have another look at it because if you use Data/Pkt WSJT-X will set the mode for you. 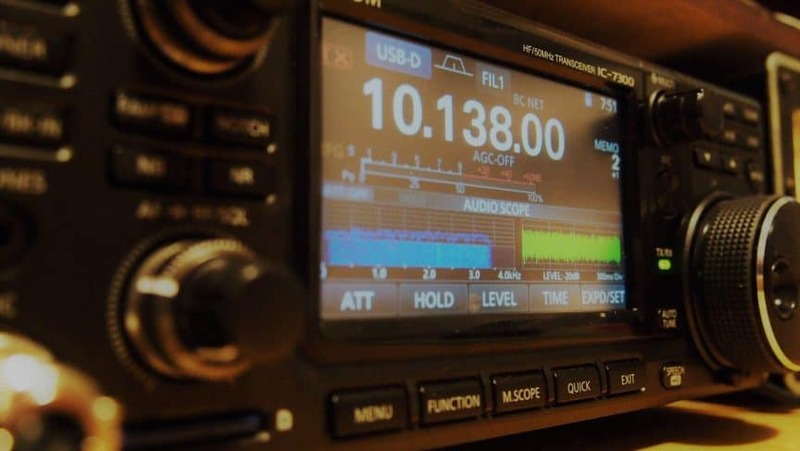 In other words if you were operating another mode, opened WSJT-X and selected a frequency using the drop down, it will change the radio to that frequency and mode to USB-D. Most of the images in http://www.k0pir.us/icom-7300-wsjt-x/2/ are not displaying, just a ?. 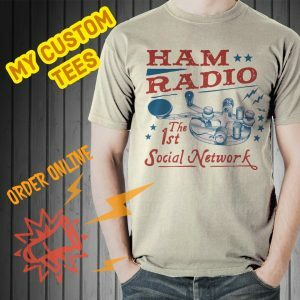 in the wjst-x settings just select in settings….mode none…..problim should be solved…..
Hi and thank you for commenting! That will work too. I use Data/Pkt and no user intervention is needed. WSJT-X will set the correct mode (USB-D) when changing bands. In the radio set DATA OFF MOD to MIC,ACC (that is the default) and then use the Data/Pkt in WSJT-X. Thank you again and this should help others. 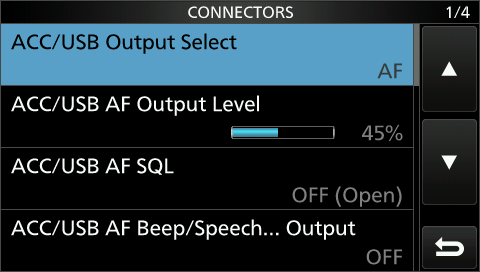 With just a USB cable: In WSJT-X under settings and Radio. 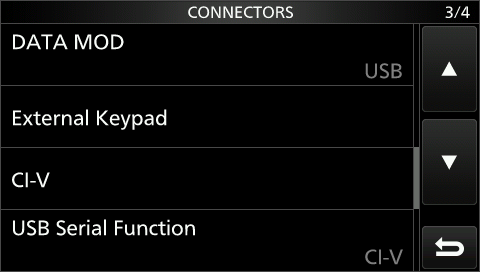 For the rig, find HRD in the drop down. It’ll work FB that way. Just have HRD started before opening WSJT-X. Thanks for commenting and let me know how it goes. Hi Rick, I have a problem trying to connect my IC-7300 to HRD V5. when I turn on the radio and HRD is open it PTT the radio and if a have the radio turned up and open HRD it PTT the radio. It remains the radio PTT until I turned off. Which one could be the problem? 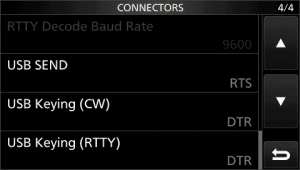 HRD: Is RTS or DTR in the connect window checked? 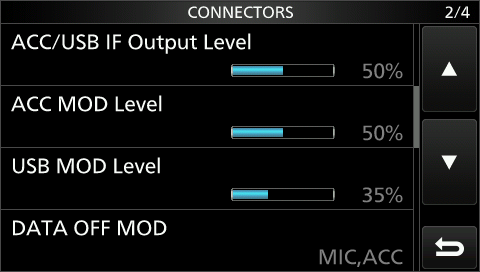 Try swapping them and in look in the radio Connectors menu, look at your RTS SEND. Is it set to RTS? That’s what mine is and in my HRD connect window I don’t have anything checked. You may have to try a couple of different settings, but that is the problem. Do you know a way to change the IC-7300 so that it remembers that I want USB-D? 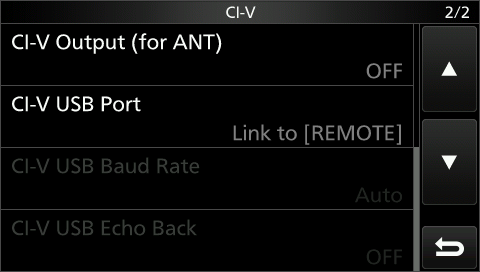 the last setting – a manual mode instead of automatically changing the MODE when i change bands. to stay in the mode that I have selected. I am in USB and not USB-D. Thanks in advance for any assistance on this matter. I also want to thank you for the great information provided on the IC-7300/HRD/WJST installation and configuration. I just got back in the hobby after a 40+ year hiatus and your instructions were invaluable. Thank you for everything you do for this wonderful hobby. Great question! I think I understand your dilemma. When I go to that portion (digital) of the band I would like it to go to USB-D. The best I have right now is using the radios memories. I wish I knew a better way. I have tried with memories in HRD and when I e-mailed their support, they said it couldn’t be done. I can set USB-D in MacloggerDX though 🙂 So what gives?? In WSJT-X it will stay at USB-D, but most of the time I have to set it first. Thank you Charlie. I hope we find a solution. Maybe someone else can help??? Hi Rich, I have a related problem. I was running WSJT-X and had no problems, except that while the radio keyed up for transmission but with no output. That was solved when I switched from USB to USB-D. 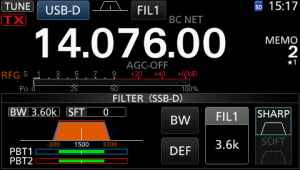 However, yesterday I installed HRD, and switched the WSJT-X settings to HRD from ICOM 7300. However when I tried to use WSJT-X on FT8 as I had in the past, the radio kept switching to USB with no output. I keep having to manually change it back to USB-D with just about every transmission. Good to hear from you. I think it’s probably a WSJT-X setting. 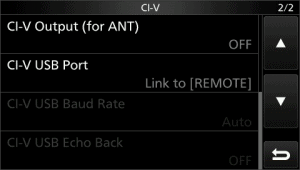 On the Radio tab in WSJT-X, change Mode to Data/Pkt. See if that helps. Have a Happy Thanksgiving! It’s good to hear from you and I have had trouble with my USB driver on my iMac. 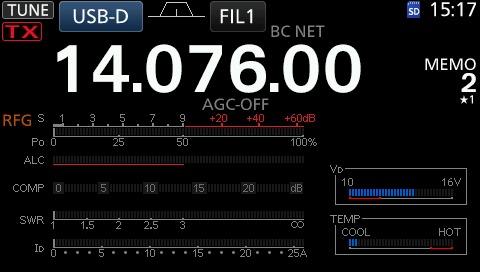 I can transit 3 times with WSJT-X and then it switches output to my speakers. I’ve tried uninstalling, re-installing the driver numerous times. I think I’ll have to do a fresh install of the MacOS. It’s good yours is working that much, hi. I never had trouble with my old iMac. I am at work right now hihi, but maybe you can tell me what problem you are having. Did you set the sound card in WSJT-X for the USB Audio CODEC? Do you have a waterfall or is it black? Once the sound card is set in WSJT-X you should see a waterfall (blue) and on your radio you’ll need to turn off NB, NR and at least put AGC on Fast. 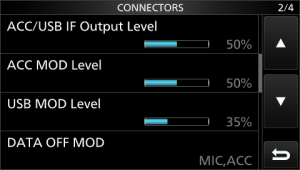 The mode on the radio should be USB-D.
Is that all done? If so, what is happening? it does not transmit. Using ICom 7300 with HRD latest version. . Codec is input and output. I am now using the NET time for WSJT-X. I had previously asked for your suggestion. What is the internet address for the clock to use with WSPR? 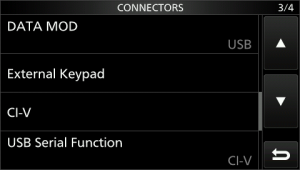 I use NetTime and it has prepopulated servers. One is 0.nettime.pool.ntp.org.